ESP EV5CKP Security System gives users sharp colour images with clear sound. The access control panel has a bright white LED illumination from the weatherproof, vandal resistant CC TV camera which aids identification in dark areas. 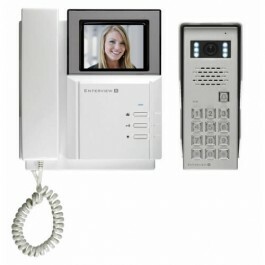 This simple to install access control system can be extended by adding up to three additional colour video handsets, two additional audio only handsets and one additional external call point camera. The ESP EV5CKP has a robust access control keypad so regular visitors or staff can be granted access with a use of a code. The ESP EV5CKP is simple to program with use of the self contained security keypad to allow regular code changes, if required. Bright illumination of callers and backlit keypad for night-time use. 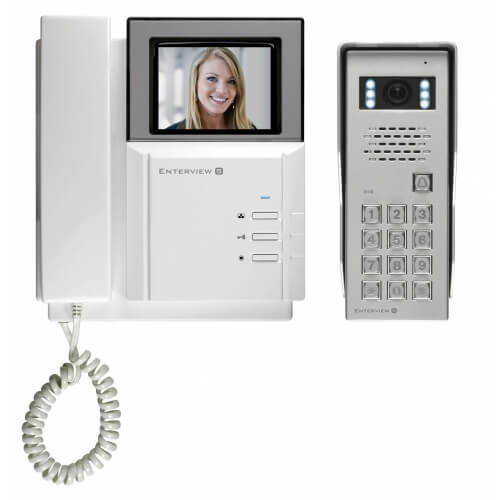 The security system can be extended by adding up to three additional colour video handsets making this piece of security equipment worth looking at when cost is an issue.